An experienced Ceremonial Magician, and a true gold-mine of Magickal Information, Virgilio wastes no time in unleashing a veritable arsenal of simple, concise instruction in the art of effective creation and empowerment of highly-effective Jar Spells. Often considered as ‘Low Magick’ and frequently looked upon with resulting distain, Jar Spells nonetheless remain a vital weapon in the all-round Occultist’s armoury. 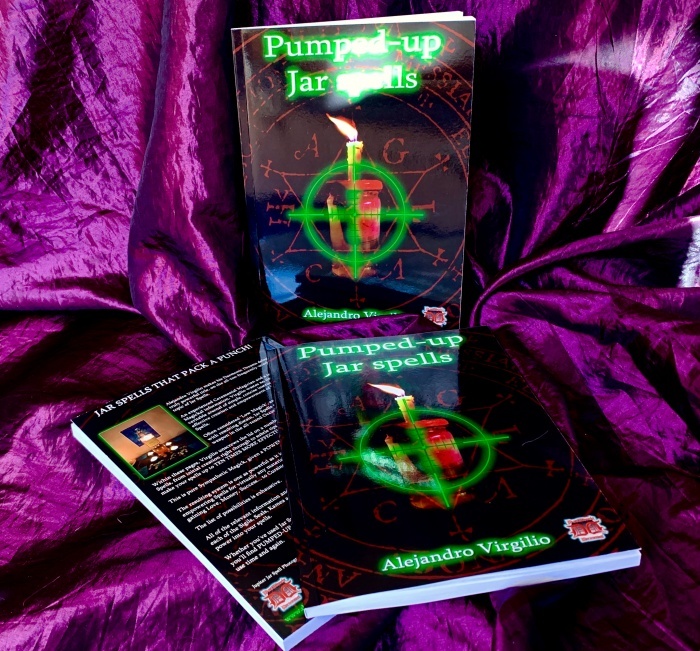 Within these pages, Virgilio unscrews the lid on a number of ways of working with Jar Spells, from initial creation, right through to subtle tips and tricks especially designed to make your spells up to TEN TIMES MORE EFFECTIVE! This is pure, sympathetic Magick, given a POWERFUL High Magick twist! The resulting system, presented here, is as powerful as it is unique – you’ll find methods of creating and empowering spells for virtually any material need you could ever come across, from gaining Love, Money, Power and Success… to Cursing and Vengeance-based rites. The list of possibilities is exhaustive. All of the relevant information and training you’ll need is contained within, along with each of the Sigils, Seals, Kameas and Magickal Correspondences required to pack REAL power into each of your spells. Whether you’ve used Jar Spells previously, or this is your very first foray into Low Magick, you’ll find PUMPED-UP JAR SPELLS to be an essential addition to your library, that you’ll use time an again.